Product prices and availability are accurate as of 2019-04-19 07:50:53 UTC and are subject to change. Any price and availability information displayed on http://www.amazon.com/ at the time of purchase will apply to the purchase of this product. Imagine driving down an empty road in the middle of nowhere, your spouse asleep in the passenger seat, kids fighting in the back, two more hours to the next hotel you hope has a vacancy, you're struggling to keep your eyes open, and you can't remember the last time you ate. Just thinking about this would make even the most resilient parents second-guess the idea of taking their children on a long road trip. Is it really worth the trouble? The truth is, any family can take a long road trip. All it takes is preparation, time behind the wheel, and determination to keep your family's spirits up, no matter the situation. 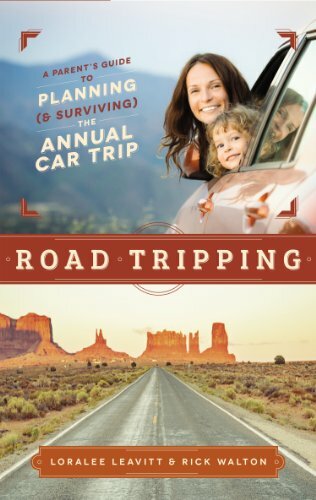 In Road Tripping: A Parent's Guide to Planning and Surviving the Annual Car Trip, authors Loralee Leavitt and Rick Walton take you step-by-step through what you need to know to survive any situation as a family on the road. Not only do they help you decide what to pack, but they also provide resources on where to go, what to do, and how to get the best discounts. They even give tips for single parents who want to spend some quality time with their children, but aren't sure if they could do it alone. So don't let that open road scare you. Take time to prepare, pack up the kids, and start out on your next, fun-filled adventure.